Today is Roald Dahl Day and there are loads of activities going on to celebrate his wonderful books. I first started to enjoy his books a couple of years when my Mum read me Matilda. I instantly loved the way that Roald Dahl could make a story come to life and we began working our way through lots of different stories and rhymes. I now find it hard to pick my favourite and it often changes but I especially love The Twits and Fantastic Mr Fox and my Mum loves the retelling of Little Red Riding Hood and The Three Little Pigs. 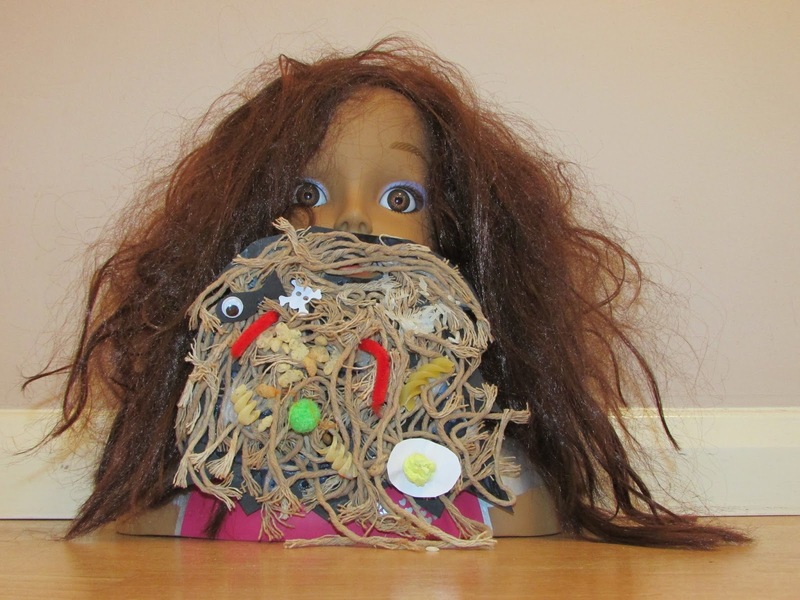 We are just re-reading a lot of the books now to share them with Lottie so it was great timing that we were asked to review The Twits and join in with the fun making our very own Mr Twit beard. If you have never managed to read The Twits it is a really funny book about the disgusting Mr and Mrs Twit who play awful tricks on each other and getting what they deserve for their horrid treatment of Muggle Wump the monkey and his family (who they have trapped in a cage in their garden) and the poor birds who get caught on the glue covered dead tree to use for Bird Pie Day. Mr Twit is a horrible bearded man (Roald Dahl didn’t like beards!) He is dirty, nasty and always has lots of disgusting things trapped in his manky beard. I have had lots of fun making my own Mr Twit beard. Lottie’s doll modelling our Mr Twit beard along with Mr Twit style hair! I would recommend this story to children age 4-5 upwards. It is a great introduction to Roald Dahl for confident younger readers or fun to enjoy with a grown up as Roald Dahl appeals to people of all ages. I know my friend’s Mum, Diana really loved this book so asked her what it was that she liked so much about it, she told me ‘Roald Dahl was not my favourite author growing up, that was Enid Blyton, but one of my favourite books ever is The Twits. I clearly remember my childhood revulsion, amusement and disquiet at the vile characters and reading it as fast as I possibly could to reach the end to see if they got their well deserved comeuppance. It spoke to my vivid imagination, reinforced my sense of right and wrong and made the Sunday night cold bath-time a little easier to bear’. I am thrilled to be able to offer two of my readers the chance to win a special edition copy* of the Twits so they too can enjoy this classic Roald Dahl story too.